What happened to Sheelagh’s Day? What ever happened to Sheelagh’s Day? Time to bring that tradition back. In Newfoundland and Labrador there has been a long established tradition to refer to the day following St. Patrick’s Day as Sheelagh’s Day. Other than Ireland and Newfoundland only Australia is known to have celebrated Sheelagh’s Day. There is evidence that it was celebrated in Newfoundland as early as 1819 with reference in Australia first appearing in the 1830s . 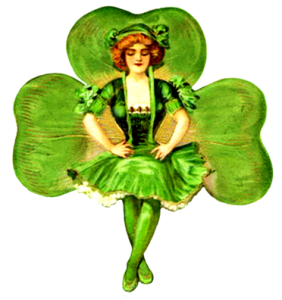 As with St Patrick’s Day, Shelah’s Day was associated with celebratory drinking. As in Newfoundland the clear indication is that Sheelagh’s Day is an occasion for the continuation of the festivities of St Patrick’s Day, no doubt including the consumption of alcohol. Shelagh (also Shelah, Sheila, Sheilah, Sheelah) in Irish folk legend is somewhat of a mystery she is variously described as the wife, sister, housekeeper or acquaintance of St Patrick, patron saint of Ireland. 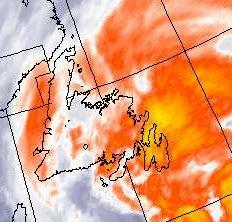 In Newfoundland few refer to March 18 by her name day; nowadays her name is only invoked with reference to any storm that takes place on or shortly after March 18 – the storm being referred to as Sheelagh’s Brush. So ingrained in the Newfoundland psyche is the association of with Sheelagh and the last storm of the winter season is that the fishing fleets were reluctant to put out their gear and the sealing fleets were reluctant to take to the ice preferring to wait until after Sheelah’s Brush had passed. Sheila’s Brush typically brings a heavy snowfall. The snow is attributed to Sheila’s sweeping away of the last of winter. But, once the brush blows through – it signals that Spring is just around the corner. Pity her name is not invoked as it was in our past. It is time to reclaim March 18 to give this day, the traditional name, Sheelagh’s Day. Archival Collection: At the Rooms Provincial Archives take some time to look at MG 612 the BIS collection it consists of minutes of the BIS (1822-1933, 1938-1970, 1973-1979); agendas (1964-1970); Centenary Volume (1806-1906); loan receipts (1905-1906); journal (1910-1920); cash book (1920-1931); ledger (1939-1944). Museum Exhibit: take some time to see: Talamh an Éisc – The Fishing Ground , an exhibition at The Rooms, that introduces the Irish peoples who have been in Newfoundland and Labrador since the late 1600s, the exhibit explores the communities they built and celebrates the contributions they made to life here in Newfoundland and Labrador. Recommended Reading: Freitag, Barbara. 2004. Sheela-na-gigs: Unravelling an Enigma. London: Routledge, 2004, pp. 62-67. 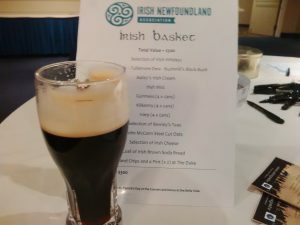 This entry was posted in Archival Moments and tagged Drown the Shamrock, Lent, Lewis Anspach, Sheelagh's Brush, Sheelagh’s Day, Sheelah, Sheila, Sheilah, St. patrick's Day, Talamh an Éisc on March 16, 2019 by Larry Dohey.